* Eliot L. Spitzer is no "Johnny Come Lately" to the S.V.A. In fact, he has been a STONEWALL Vets' Assn. supporter since 1994. 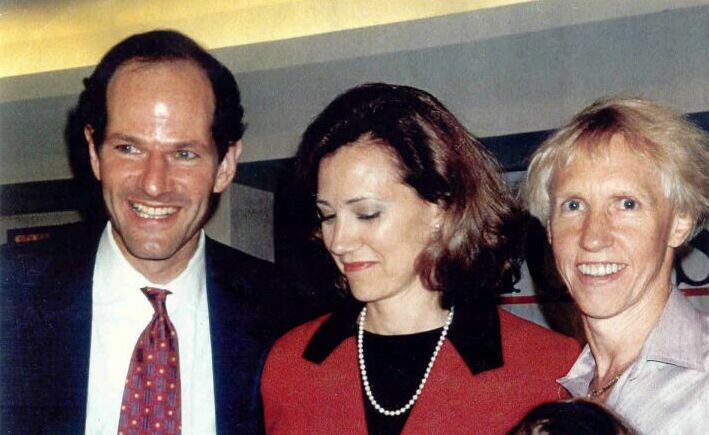 In the Gay, Lesbian, Bisexual and Transgender ("GLBT") communities, Mr. Eliot L. Spitzer ("ELS") only has the campaign endorsement of PRIDE Democrats. Quite frankly -- as the political strong arm of the S.V.A. -- that's all he needs! Sounds like a winning formula to us! ELS also has the very active support of the individual members of the S.V.A. army of volunteers and the S.V.A. navy of mailings!! If you follow PRIDE's lead and their campaign literature, e-mails, faxes, phone calls, promo cards, etc., ELS's new address as of January 1st, 1999 will be on the 25th floor at 120 Broadway in Manhattan, New York City -- Office of the New York State Attorney General!